Visions of Jesus Christ.com - Dora Visser - Stigmatist. 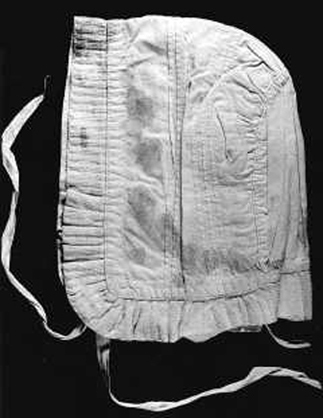 Photos of Dora Visser, her head bonnet with blood stains from the stigmata. 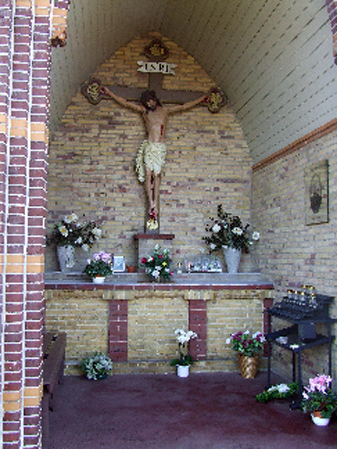 Her prayer grotto and grave. 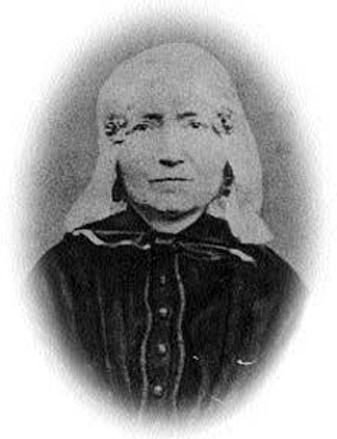 The mystic Dorothea (Dora) Visser (1819-1876) born daughter of a poor day labourer. The girl received little education, and worked on a local farm. At age 12 she severely injured her right leg, an injury that plagued her the rest of her life. Even as a girl, Dora was known for her piety, prayer and fasting. Lifelong lay woman in the archdiocese of Utrecht, Netherlands. Visionary. In 1843 she received the stigmata, which would recur many times over her remaining 33 years. All this occurred during the period of the return of the Church hierarchy to the Netherlands, and the re-instatement of Catholic dioceses; there was a lot of anti-Catholic prejudice and agitation in the country, and Dora came in for her share of ridicule and abuse. Her confessor kept a diary of the mystical experiences of Dora which was rediscovered in 1965. A man who could not walk was healed inexplicably. 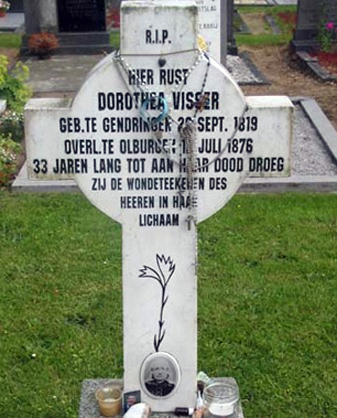 The investigation at diocesan level into the life of Dorothea Visser was completed on February 27, 2013, dr. W. Hilgeman is currently postulator of the apostolic phase of the beatification process of Dorothea Visser. Learn more about Dora Visser [here].